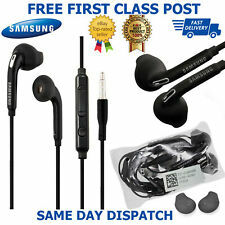 New Genuine Samsung Galaxy S7 S6 Edge Note 5 4 3 S5 S4 Headphones Earphones Handsfree. Samsung Galaxy S6 Edge , S6 Edge, S6, S5, S4, S3, S2, S7, S8. These In-Ear Headphones are designed to bring high quality audio to your ears. AKG Headphones for Samsung Galaxy S9 S9 S8 S8 Note 8. Genuine OEM AKG Samsung Product - Model Number- EO-IG955. Galaxy S6 / S7 / S8 / S9 & Plus / Mini models. Compatible with Samsung Galaxy S6 S7 Edge S8 S8 Note 8 or any device that have 3.5mm port. Gold plated 3.5mm jack plug for excellent audio transfer. Colour Black. AND WILL TRY MY BEST TO HELP AND SORT THE ISSUES. is in to answer the door, or if your order was dispatched. i aim to have all received orders dispatched within. Samsung Galaxy Buds (2019) Wireless Earbuds White. WE ALWAYS GO THE EXTRA MILE! This will cost you £2.75. If the item has arrived with you and you claim that it hasn’t the police will be notified and further action will be taken from there. This Original Samsung Handsfree with Mic features a high quality sound whilst still providing great comfort for you to enjoy your music playback. 100% Genuine and Original Samsung product. Lightweight and comfortable Enrich your listening with high-quality sound. Headphones & Earphones (10). 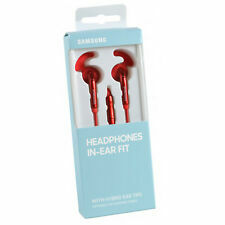 ► Genuine Samsung EO-EG900BW Stereo In Ear Headset For all Samsung Galaxy handsets. This genuine Samsung hands free kit, is not only stylish but is built to a high specification. Exclusively designed for making and receiving voice calls, the EO-MG920 Bluetooth headset is equipped with noise-reduction and echo-cancelling functionality, allowing for clearer voice calls. Contents - bluetooth headset, ear loop, ear buds, user manual. Pink Genuine Samsung HS130 In-Ear Earphones With Remote. Need to talk?. Listen to music?. Take the brilliance of these genuine Samsung HS103 earphones for your smartphone along for a ride! 100% Genuine Samsung product. Simple and straightforward, the HM1200 Bluetooth mono headset provides outstanding call clarity on which Samsung earned its reputation. In addition to the user-friendly features, this headset is compact and stylish with its modern, textured finish. The HM1100 is the perfect mix of high value with elegance, fashionable design, and functionality. Feature rich the headset has Multipoint Technology for simultaneous connection to two Bluetooth headsets. ColorWhite, Black, Yellow. Standard Battery Capacity58 mAh. Battery Capacity (Case)252 mAh. Battery Capacity (Earbud)58 mAh. Case Weight40 g. General Information. Earbud Weight6 g.
HS130 In-ear Headphones with Remote. Cable Length. Enjoy colourful music. S8,S8 Plus,S9,S9 Plus,S10,S10,S10 lite. S10 Plus,Note8,Note9. Specially For Galaxy. with any device which has 3.5mm Jack. Samsung Galaxy Hands-free Headphones Earphones. GENUINE SAMSUNG HEADPHONES WITH MIC. -In-Line Mic with Remote Function. Samsung Galaxy Alpha, Galaxy A3, A5, A7. Samsung Galaxy S7, S6, S5, S4, S3, S2. Samsung Galaxy S5 Mini, S4 Mini, S3 Mini. 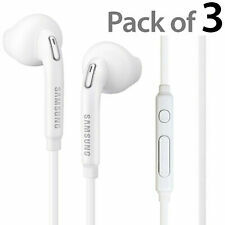 Here we have a Genuine Samsung EP-380 (3.5mm) Earphone for MP3 players, smart phone, laptop etc. Still wrapped, never used. Not sure if they should have foam pads or not, but these don't ! It’s fun ! It is thenArgos' responsibility to inform you once your parcel has arrived and is ready for collection. Haven't receieved your item?. This is a High Quality Hands-free specially designed for music. These stylish earphones have both the looks and performance at a very competitive price range. Its easy to wear and light weight. This Hands-free with Remote and Mic provides a great performance and has great comfort. 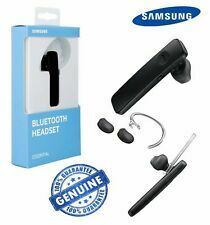 Samsung Black EO-MG920 Bluetooth Mono Headset Handsfree Wireless Bluetooth headset. · Exclusively designed for making and receiving voice calls, the EO-MG920 Bluetooth headset is equipped with noise-reduction and echo-cancelling functionality, allowing for clearer voice calls. Samsung's Galaxy Buds: from podcasts on your commute, to playlists in the gym, with its wireless design, you can take your audio with you anywhere. Easily sync the Galaxy Buds to your smartphone, connect to your smartwatch or link them to your tablets (Bluetooth connectivity required). The bluetooth earphone is compatible with iPhone X, iPhone 8/8plus, iPhone7/7plus, iPhone 6/6s Plus, iPhone 5s/5c/5/4s/4, iPad Mini/iPad Air, Samsung Galaxy S9/S8 Edge/S6 Edge /S6/S5, Note 5/4/3, HTC A9/M9/M8,etc. Samsung Earphones Corded Tuned by AKG. 1 Samsung AKG In-Ear Headphone Headset. This lightweight and super comfortable hand free Headphone from Samsung allows you to listen to your favorite tunes, or carry on conversations clearly. Official Samsung EO-IG950 Silver Advanced Digital Noise Cancelling In-ear Headph. Condition is New. Dispatched with Royal Mail 1st Class.